Topic: Substance Testing Kits - Test your plants, extracts and other drugs. We are a non-profit harm reduction and education organization, and we have developed a new easy-to-use substance testing kit that, unlike only using simple color tests like EZ test, can also separate substances and potentially identify individual substances in a mixture, be it a plant or a drug with adulterants or impurities. We have been in contact with people from ICEERS organization and they informed us of some recent tests they were doing on iboga rootbark and iboga extracts and synthetic ibogaine. It seems there was a lot of variability in the results, some had high amounts of ibogaine, others very low amounts or not even present, and there were also some unknown alkaloids in at least one sample. It seems there was a variance of at least 10x in strenght of some samples, which could be dangerous for those that are used to the weak samples suddenly taking same dosage of a stronger one. With this in mind, we were talking about collaborating with them by adding a specific iboga section on our kit`s database, to help people at home to be safer if they decide to take iboga. Appart from Iboga, the kit is already set up to work for most substances such as natural and synthetic psychedelics, research chemicals, weed, mdma and related substances, etc. 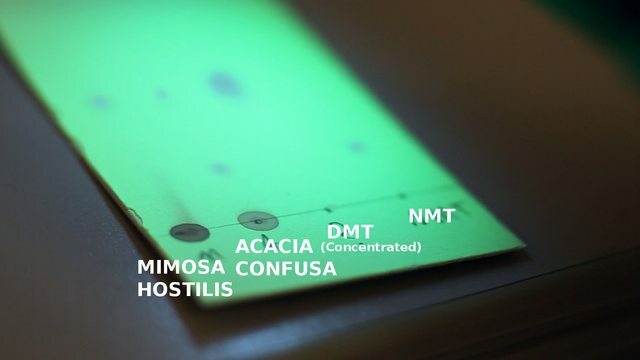 It could also be useful for those testing plants in their own area, for example if someone is looking for a dmt containing plant or a mescaline cactus, they could easily use the kit to see if it contains DMT or mescaline, other alkaloids of interest and possible poisonous alkaloids. It could even potentially give a crude estimation of amounts present in the plant. If you are interested in the kit, please go to the link in the beginning of this post. We will send kits for those donating 150 euro (and other perks possible, check the page) if we reach our crowdfunding goal, and if we dont, the money is fully refunded by indiegogo. We need help because without the money we have as a goal, we will not be able to purchase bulk material and therefore get the kit for that price, so we won`t be able to proceed with our project. Most part of the kits are reusable indefinitely, except plates and reagents, which we will send enough for 50+ tests, and replacement plates and reagents will be available at 1e per test. We hope that this kit will serve for the empowerment of people so that they can be safer when consuming different substances, selecting plant genetics for breeding or trying to find local plant sources for wanted substances which they can harvest sustainably. We are open to suggestions or to possibly collaborate with different people and harm reduction organizations. PS: I have talked to an admin before posting this question. We hope you don`t consider this a spam or disruptive since it is very relevant to the forum`s themes and our main motivation is not money, but to further develop knowledge about plants and drugs and to potentiate safer use. Re: Substance Testing Kits - Test your plants, extracts and other drugs. I was in chat over at DMT Nexus last week and had a brief govoreet with some fellows who mentioned this collaborative, and it looks like Trav at the Nexus has also allowed them to advertise there - but it seems I am hearing some ambivalence regarding exactly 'what's up' with this promotion [or whatever it be]? Anyone here had any dealings or correspondence with this outfit? Hmmm?